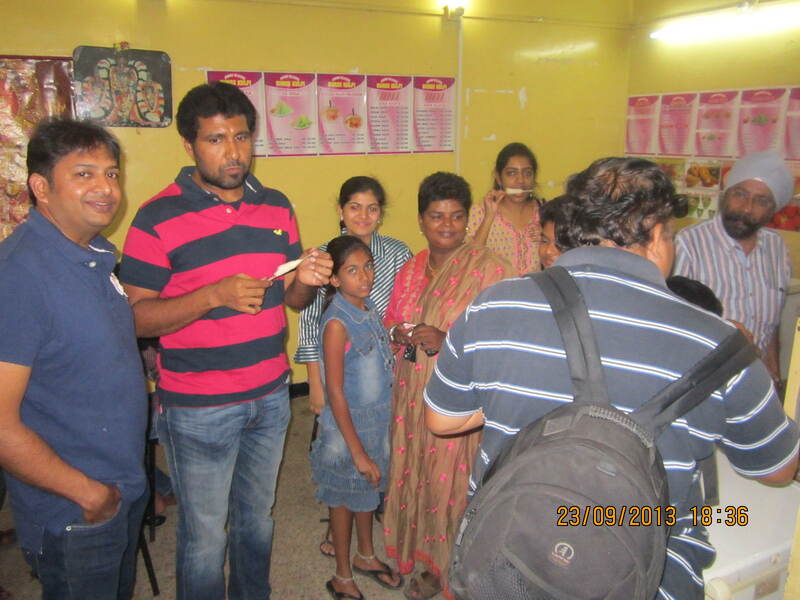 The “Food Walkers” of Coimbatore met at the “A-1 Snack Street” at Venkataswamy Road(E), R S Puram at 5 PM and the pleasant weather was a combo. Since it was the first time such an event was organized, some of the foodies were excited and some were apprehensive, nevertheless the attendance was impressive. Though, my interaction with some of the foodies were limited to FB and phone, I was excited to meet them in person. Believe me, it was one my memorable trip to Coimbatore in the last 15 years. People started walking in, one by one, and after getting to know each other, we met the young entrepreneur Sudeesh who is in charge of A-1 Snack street, a dynamic young man, explained their specialty and signature dishes. The first suggestion from their menu was “Paniyaram” which came piping hot with 5 different chutney’s, with their signature date and ginger chutney (shhh….grandmother’s recipe), that left an unforgettable taste in our taste buds. 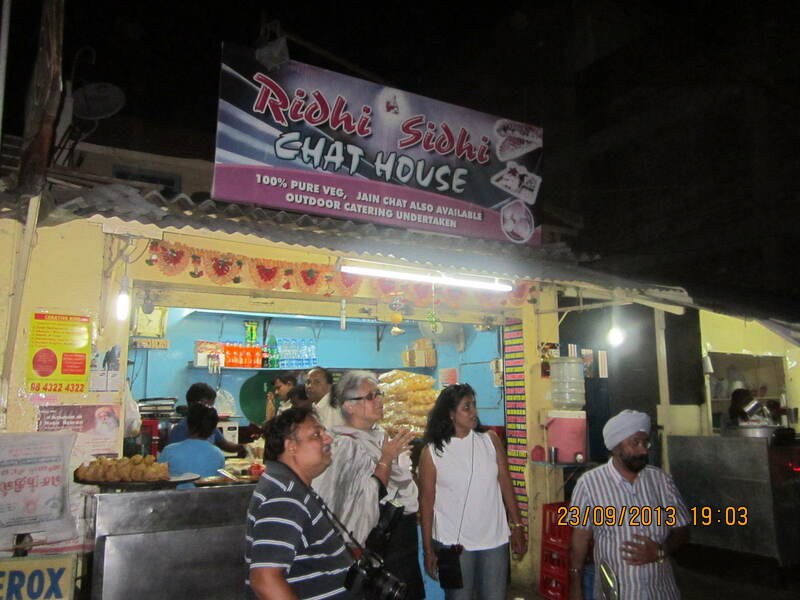 Few us tried their “Butter Appam” and chats, every bit was truly a value for money item with quality and quantity. 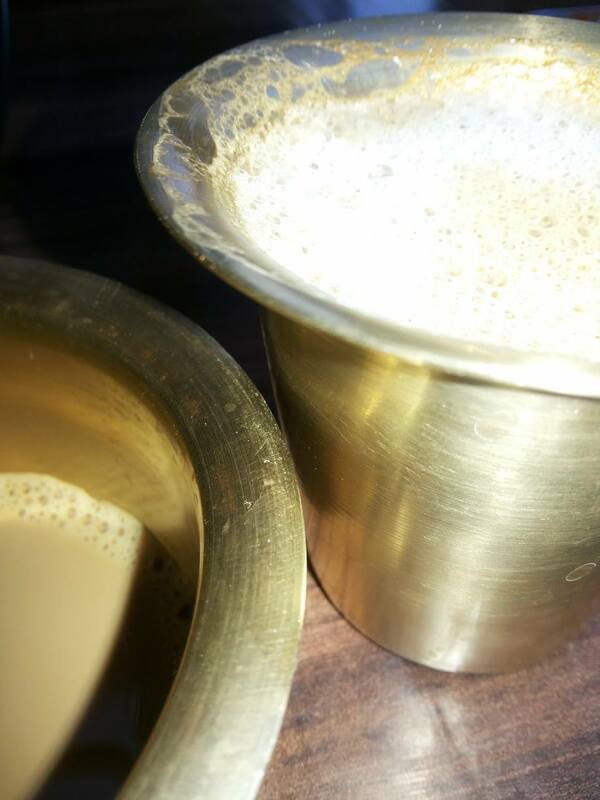 We had to sign off with an authentic filter coffee…what else! 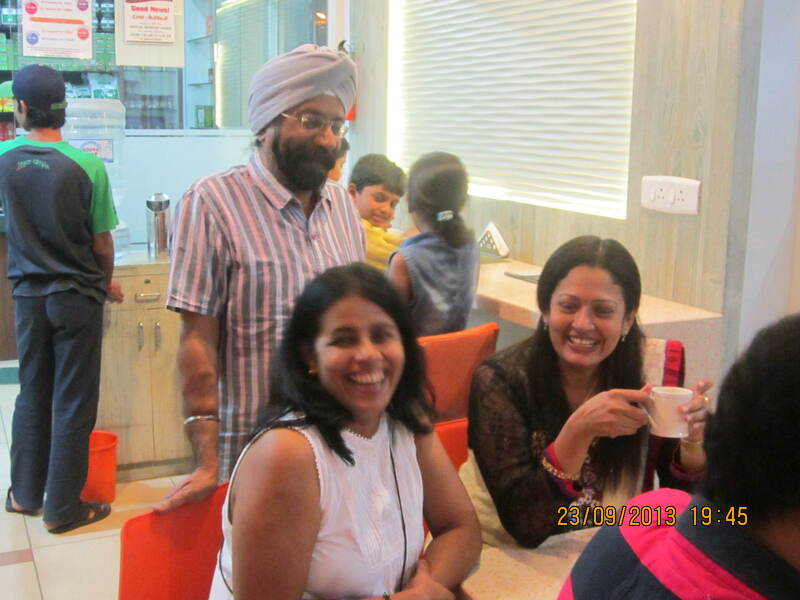 !, believe me, it was served in a traditional brass “davara-set”, and the coffee was amazing. Not to miss are the wall paintings of film stars and ambience. 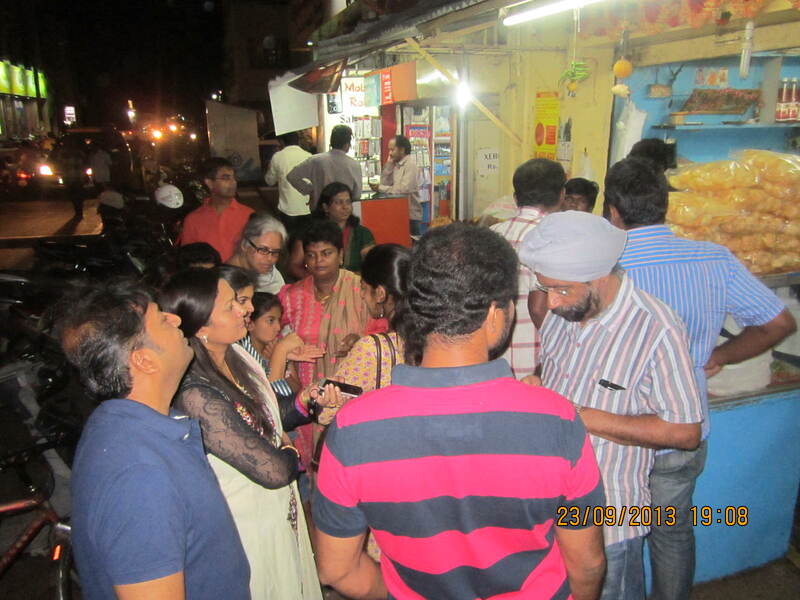 Kick starting the walk at A-1, local foodies recommended “Shree Kulfi house”, off DB Road, behind Rajasthani Sangh.. Though I have lived most of my life in Mumbai and tasted some of the best kulfi’s and Gola’s, but the one’s at Shree were absolutely awesome. The Gola syrup was nice and subtle, The Falooda Kulfi was nice. 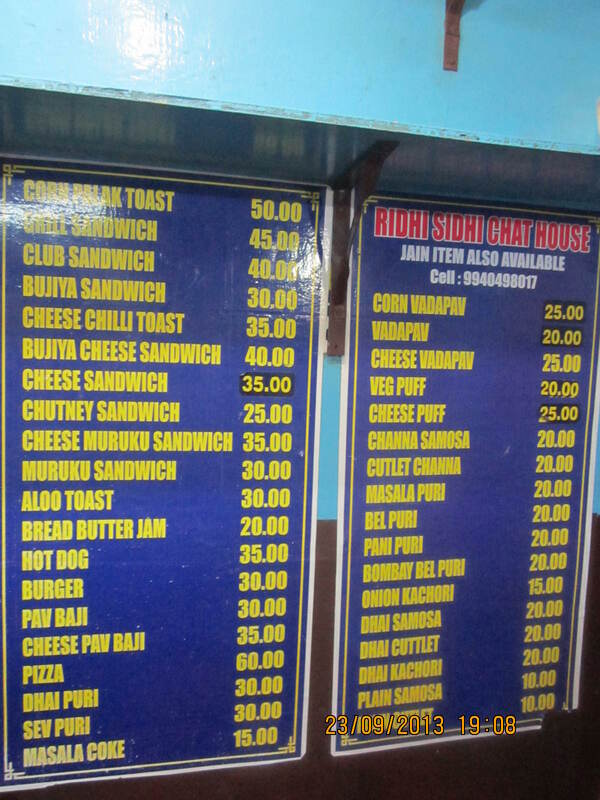 With all the kulfi and gola setting the sugar high in us, it was time to move on to a place that gave us some nice spicy sandwich and vada pav -“Ridhi Sidhi Chat House”. Shankar the person who was at the counter made some most yummiest and tastiest sandwich’s and vada pav, was a bit camera conscious, but responded to all the question that I threw at him. He is basically from Bihar and moved to Coimbatore 4yrs ago. He is the one who makes 12 varieties of sandwich. The vegetable cheese sandwich that was recommended to us was nice and made of fresh vegetable. A good cup of tea was needed after all the food and walking we did. We walked upto “Chai and Gupshup”, adjacent to Ridhi Sidhi chat house and had some tea and the unique one being “Saffron Tea”. 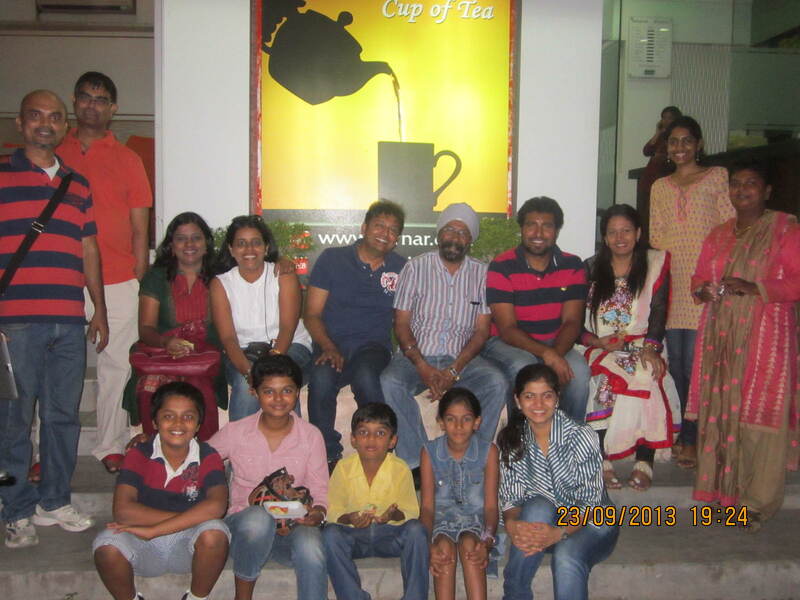 With the taste of chai in our mouth, all of us decided to call it a day for the first walk. It was beautiful , fun and food filled evening and we made some very good new friends. I was lucky to be a foodie who had a chance to meet beautiful like-minded foodies. Each and every person was enthusiastic about the walk and we promised to meet again, which we will do with many more foodies joining the food walk. We promised to make the next food walk even more a bigger event with many more foodies joining the group. Thank you Coimbatore and lovely people of Coimbatore for making me feel at home. This is the link to FB https://www.facebook.com/groups/647814145269799/ please join. Next Food walk is on 26th October in Coimbatore. Please join. This is the link to FB https://www.facebook.com/groups/647814145269799/ please join.